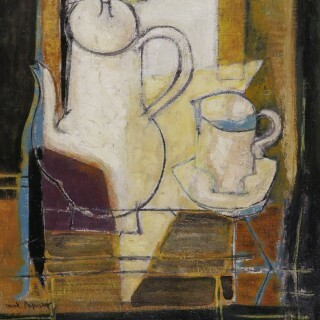 French painter Max Papart studied printmaking in Paris and explore etching with carborundum, a technique much favored by Joan Miro. 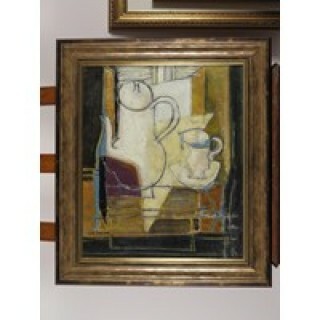 Known for “composing” rather than painting, and worked in a semi-cubist style. 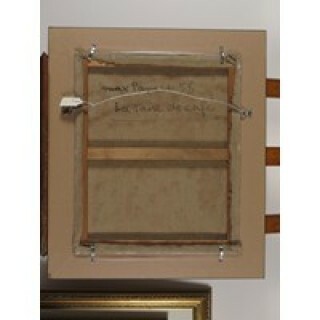 Many of his original signed paintings and drawings present the viewer with a window onto a different world. Master printmaker, born in Marseille, Max Papart learned the techniques of classic engraving in 1936 in Paris. In 1960, he added to the classic processes the technique of etching with carborundum invented by his friend Henri Goetz. In the years 1969-73 Papart taught printmaking at the University of Paris VIII-Vincennes. He continues to make his own plates and to supervise the hand printing of his prints. One of the most intriguing intellectual concepts which Papart achieves in his two-dimensional, semi-cubistic style is a “window” through which the viewer senses the past or future, or even another time or place. This development has become more pronounced since 1981 and in recent years it is seen even more graphically in such works as Circle, Indian Summer, Dreams, and Silent Woman. It has been said the Papart does not “paint,” he “composes.” His compositions come together in a symphony of line, shape and color. Excerpted from “The Artist” by Kenneth Nahan, in “Max Papart, Master Prints and Other Works on Paper” published by the New Orleans Museum of Art.